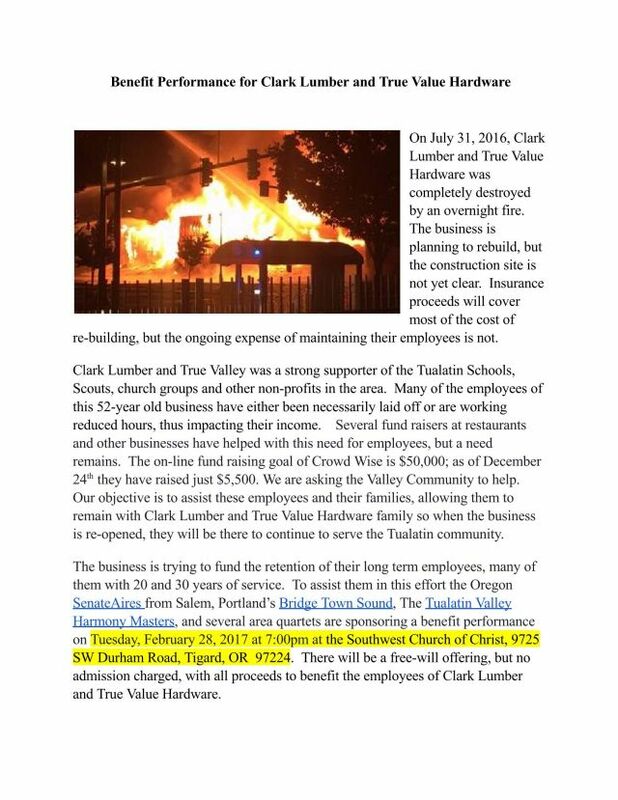 Tuesday evening February 28th, the Tualatin Valley Harmony Masters Chorus, the Portland Bridge Town Sound Chorus, and the Salem SenateAires Chorus, along with a number of Quartets, will be part of a Benefit Performance in Tigard, OR for Clark Lumber and True Value Hardware (a Tualatin business). They were completely destroyed by fire July 31st. This would be a great time to hear some excellent Barbershop singing and, in the process, help our neighbors. For additional information, please see the poster below.